9 Dots is a community of educators, researchers, and engineers committed to the mission of providing transformative computer science education for every student—particularly those from underserved communities. They create learning environments that engage, foster joy, and promote fearless problem solving for every student. They aim to empower students by transforming the way they voice their ideas, understand their world, and imagine their futures. 9 Dots is dedicated to expanding access to an inclusive, engaging, and dynamic computer science education in low-income Los Angeles communities. They work with Title 1 schools to develop computer science classes and curricula, while providing professional development training for educators, creating integrated and evidence-based pathways for high-quality computer science education. 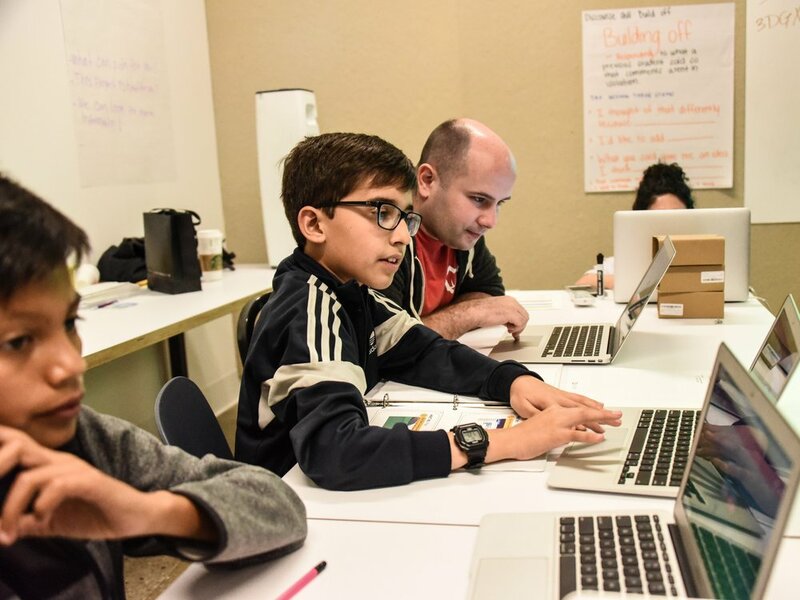 They offer in-class coaching and weekend, summer, and after-school programs at their facility while their research initiative helps to better understand the learning process in computer science education. On top of our grant funding, Riot will look to provide product development, player behavior design, and UX / UI best practices taught by our pro-bono volunteers.